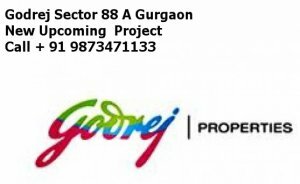 Godrej OASIS a new luxurious residential project in Gurgaon Sector-88A near Dwarka Expressway offering 2BHK,3BHK,4BHK Apartments or Flats with best prices. Godrej Properties launched this project named “Godrej OASIS”. This Project offers 2BHK,3BHK and 4 BHK luxurious apartments at best base rates of 6500 psf only. Now you have a great opportunity to own an apartment with modern amenities on Dwarka Expressway at best rates and best deals. Godrej Oasis sector 88 A, Dwarka Expressway, Gurgaon. It is a luxury residential project comprises of 2BHK, 3BHK, 4 BHK apartments. Godrej Oasis new launch project offers residential apartments or flats at the rate of 6500/sqft. Godrej Oasis is a subsidiary of the renowned Godrej Group in India. Godrej properties are known for its ethics, commitments & quality work.